When Detroitan’s walks on the streets of their humble city, most of them are unaware that they are walking on the 1500 acres of salt mine. The mine stretches from Detroit’s metropolitian area all the way to, Melvindale and Allen Park in the South West. A salt company named the Detroit Salt and manufacturing company shut the mine down in 1983, As the company incurred loss due to fall in salt prices. From 1920 to 1950, this salt mine was tourist attraction in the city, thousands of citizens would visit the mine, along with the kids, and most of them on school trips. 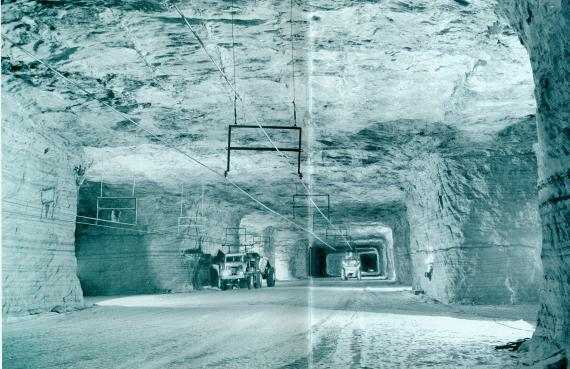 Even in the busiest time of the mine, packed with many people; mine always appeared to be clean and rodent free. Surprisingly, the mine was rodent free because rats would have absolutely nothing to eat, besides the left over from the worker’s lunch. Hence nothing lived in the mine, and nor there are any sign of anything living in the past. Salt city sounds interesting it could be a good sight to watch, nature’s marvelous gift under a motor city, of states.